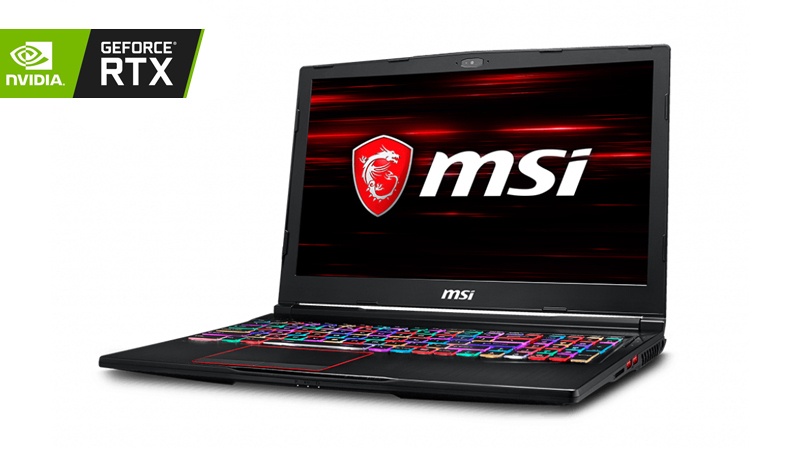 Introducing the MSI GE63 with RGB lighting top design providing you with multiple lighting modes such as Disco, Music Mode and Flux. Rest assured you are not only getting style and design, as the MSI GE63 also sports an RTX 2060 6GB and a Coffee Lake i7 to provide you for optimal performance on the go. If you need to amplify your graphical power upgrade to the MSI GE63 Raider 8SF which features the powerful RTX 2070. This is a combination of NVIDIA’s design, thermal and electrical innovations that allow laptops to harness the power of desktop GPUs. This laptop is powered by an RTX 20 series providing you with a powerful mobile Workstation. If you need to upgrade your business set up, you can take advantage of the Three Years ‘No Quibble’ Warranty and Support included when Leasing from HardSoft. Need a More Powerful Device? Try The MSI Stealth!